Nickerson, as part of Limagrain UK, is a fast growing, French farmer-owned international co-operative group, specialising in both agricultural and horticultural seeds, and in cereal products. So what does Brexit mean to a company like Limagrain, and what are the implications for UK growers? Limagrain is the fourth largest plant breeder and seeds marketing company in the world, and although the main part of the business is within Europe with 52% of total sales and 60% of the Limagrain workforce, 33% of sales and 20% of the workforce are in the America’s, 10% of sales and 7.5% of the workforce are in Africa and the middle east, and 5% of sales and 12.5% of the workforce are based in Asia. This shows the global approach and focus for the company; of which the UK business is a key part of, and this strategy will continue despite the uncertainties of a UK outside of the EU. Limagrain has a dedicated UK breeding programme which consists of several key plant breeding centres based throughout the country, focused across a range of crop types, such as wheat breeding at Woolpit in Suffolk, barley and OSR breeding at the head offices in Rothwell, Lincolnshire and roots and pulse breeding at Docking in Norfolk. The breeding programme for each crop type is led by a senior plant breeder, who is backed up and supported by a local team including technical expertise, pathologists, breeding assistants and industry liaisons etc. Mr Lovegreen is keen to emphasise that the work of the breeders is very much part of the global strategic breeding programme of the company, where breeders from across the company share genetic material and processes, when relevant and appropriate to the individual and national requirements of the breeding programmes that they lead. 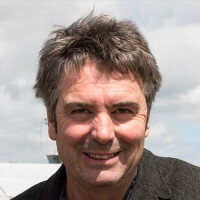 “Plant breeding has many challenges to overcome in the next ten years, and we have to ensure that we adapt our programmes to meet these so that we continue to provide varieties that meet the needs of both growers and end markets in specific regions,” says Ed Flatman, senior wheat breeder with Limagrain UK. It is this very process that is bringing forward several new and exciting wheat candidates for recommendation this coming autumn. “We are particularly excited about LG Motown, which has consistently yielded 104.3 over control, and above JB Diego, and offers similar attributes to the popular variety Revelation, with some significant advantages. It’s earlier to mature than Revelation and JB Diego; an important attribute of consideration for growers of winter wheat in the northern regions of the UK,” says Ron Granger, arable technical manager for Limagrain. He adds that LG Motown has good resistance to the rusts; septoria and eyespot, as well as offering OWBM resistance. LG Sundance has an excellent disease resistance profile, with a very good ‘7’ rating for septoria tritici. Limagrain data suggests it is a higher tillering variety with a slower prostrate growth habit in the spring – attributes considered of importance for the earlier drilling slot. Stratosphere is a very high yielding soft feed winter wheat, bred by Danish breeders, Sejet. Stratosphere has a good disease resistance profile and carries resistance for OWBM, and trials to date suggests it also performs well as a second wheat. LG Cassidy is a very high yielding winter wheat, with initial official testing suggesting that the variety meets the specifications for the nabim Group 2 sector. LG Cassidy is a shorter strawed variety with good lodging resistance, a durable disease resistance and good physical grain characteristics. LG Bletchley is a Group 3 variety that offers potential for all the soft wheat markets; export, distilling and biscuit wheat. LG Bletchley is an early maturing variety with stiff straw, good disease resistance and OWBM combined with good grain quality, which makes it an interesting option for the North.